Former PCC chief Pradip Bhattacharya urges Governor to request university Vice Chancellor not to put in his papers. 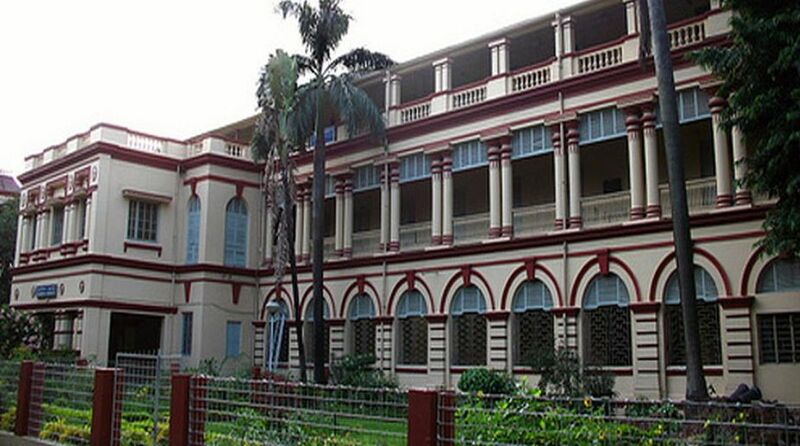 The admission tests for undergraduate studies in six Humanities departments ~ English, Bengali, philosophy, history, international relations and comparative literature ~ in Jadavpur University (JU) will begin from 21 July and continue till 25 July. A decision in this regard was taken by the admission committee on Wednesday. The provisional merit list based on marks obtained in the entrance tests and class XII examinations in 50:50 ratio for the six subjects will be declared on 3 August after 6 p.m. Meanwhile, speculation continued over JU vice-chancellor Suranjan Das resigning. Former PCC chief Pradip Bhattacharya met Governor Kesari Nath Tripathi at Raj Bhavan on Wednesday and urged him to request Prof. Das not to resign. Prof. Das, who had expressed his desire to put in his papers after the university authorities, faced with a prolonged students’ agitation, had to roll back its decision of not holding admission test of the six Arts subjects, neither turned up at Raj Bhavan, nor was he spotted at the university on Wednesday. On the other hand, pro-VC Pradip Ghosh was present at the campus as usual. Mr Biswas also pointed out that the entrance test was scrapped as there was disagreement among the members of the admission council on the matter. It was felt that the entrance test would create more complications. However, considering the hunger strike by the students and protests by some teachers, it was resolved to resume the entrance test. The Dean of Arts, however, did not elaborate on which teachers would be involved in setting the question papers. “The responsibility of setting the question papers and checking the answer scripts has been assigned to the registrar and the dean. However, as it is a confidential matter, nothing can be elucidated on who will be involved in the process,” he said. Mr Biswas highlighted that the executive council on Tuesday had requested all the teachers to cooperate in the admission procedure and in the faculty council meeting on Wednesday, they were again urged to be a part of the process. As per the announcement by the admission committee this afternoon, the test date for English is 21 July (12 p.m. to 2 p.m.) and the test for Bengali is to be conducted between 12 p.m. and 2 p.m. on 23 July. Entrance tests for philosophy and international relations (political science) will be held on 24 July, at 11.30 p.m. and 2.30 p.m. respectively. The admission tests for comparative literature and history are to be conducted on 25 July, also at 11.30 p.m. and 2.30 p.m. respectively. The classes for the new session in the six subjects are scheduled to start from 13 August. It may be mentioned that for economics, the admission and counselling are to take place on 30 July and for sociology and Sanskrit, they will be conducted on 31 July. Following the announcement, the university campus where protests and hunger strike were the norm for the past few days, echoed with joyous slogans and cheers from the students. On the question of the VC’s resignation, he said: “We never expressed any desire for his resignation. Prof. Das’ resignation is totally his discretion.” After the students’ demands were accepted by the admission committee, the students organised another celebratory rally within the university premises on Wednesday afternoon.